The Tsebo Group is a Level 1 BBBEE contributor under the 2015 Amended BEE codes. 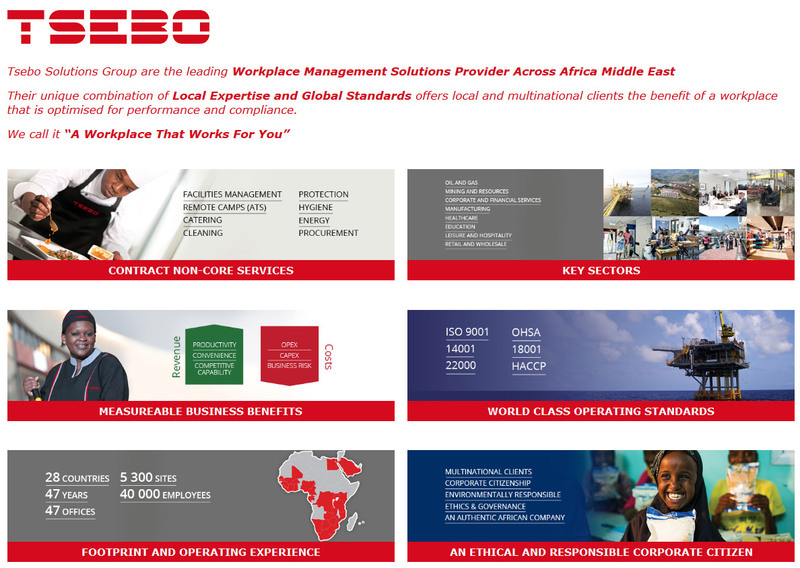 Since the inception of its first Affirmative Action Policy in 1982, Tsebo has been at the forefront of transformation in our industry and society, and TsAfrika actively carry on this tradition with numerous active initiatives designed to provide skills, develop and promote people, create opportunities within and outside of our business, and create wealth. The creation of great food is a equalising and recuperative endeavour. We love the fact that we are able to use our business to build bridges in our society and create new beginnings. By engaging TsAfrika, our clients are enriching the recipe of our wonderful South African melting pot.